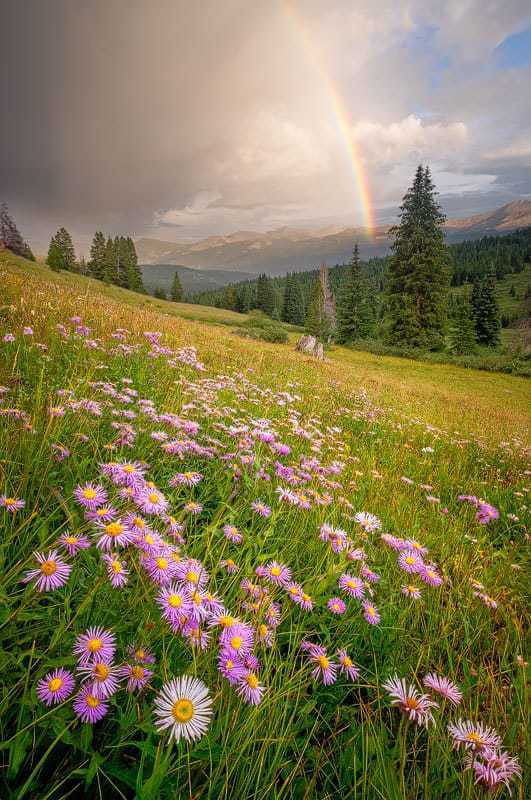 Shrine Ridge Wildflowers video is an informative post-processing video tutorial. David explains in detail the use of Zerene Stacker as a focus stacking tool, Image Blending in Photoshop, the application of Luminosity Masks, Warping, the Orton Effect, Tonal Clarity, Atmospheric Perspective. David presents the material in easy-to-follow style. I feel that this video is a valuable tutorial for anyone who is interested in expanding and improving his/hers post-processing techniques. Shrine Ridge Wildflowers is very good value for money. I found particularly interesting the introductory section in which David explains the rationale of the work in the field and why it is so important for the final success of the image. The techniques he later describes to enhance the shot are what can be now considered standard procedure in landscape photography but there is nothing mechanical in the way David uses them. One of the best tutorials I have ever bought. David’s Shrine Ridge Wildflower video is full of practical instruction and analysis and many useful techniques. I find that I refer back to it frequently whenever I’m approaching processing a new image that I want to look spectacular. This is one solid post-processing video. And it doesn’t talk down the power of vision coupled with digital expertise. I have been following David’s videos and blog posts for about one year and find that every one highlights more than one gem of digital wisdom which I can use every day. Treasures-every one of them. David’s videos cover most of the the tecnique in post processing that a nature photographer needs. Although I don’t use all of that (like wrap or blend image with different focal lens, because I don’t like altering the image, but is a personal decision) it’s nice to see all the tecnique. What I like the most is the developing of the raw that is very different and unique. Well done me David.